A car will go as far as its battery takes it. If you’ve got a faulty battery, don’t rush into a bad decision that ends up costing you way more than expected to replace your vehicle battery. Don’t wait until the point where you find yourself stranded with a failed battery. 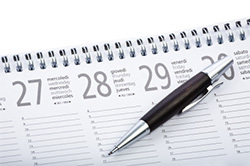 Instead, have a plan in place should you have battery issues in the future. This will help ensure that you don’t get stuck paying an excessive amount for your replacement battery. At Clark Automotive, we are an affordable battery replacement shop that should be your number one option when you’re in need of a new battery for your vehicle. 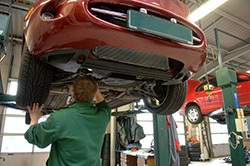 The cold winter months can be tough on your vehicle battery. At Clark Automotive, we don’t want our clients to be caught in snow or ice because their vehicle’s battery died. To reduce the likelihood of any battery issues this winter, consider teaming up with our crew so that we can provide you with a pre-winter battery evaluation. Our battery specialists will take a look at the strength levels of your battery and provide you with a thorough evaluation so that you are prepared this winter. Just stop by our affordable battery replacement shop and we’ll come outside to perform a pre-winter battery evaluation at not cost to you. When it comes to affordable battery replacement, we want to cater to all types of vehicle owners. That’s why we offer battery replacement for domestic cars, fleet pickup truck and even hybrid vehicles. Not only are we a battery replacement shop for all types of vehicles, but our battery pricing is extremely affordable as well. 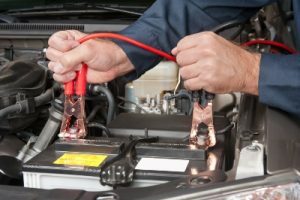 In addition to being an affordable battery replacement shop, we have an experienced staff to backup all of our auto repair work. With more than 17 years of experience, we know the common signs to look for when it comes to battery issues. While you wait for our team to replace your failed battery, relax in our clean and comfortable waiting room. Before you know it, your new battery will be installed and you’ll be ready to go in no time. © Copyright 2018 Clark Automotive Clinic, Inc. All Rights Reserved.